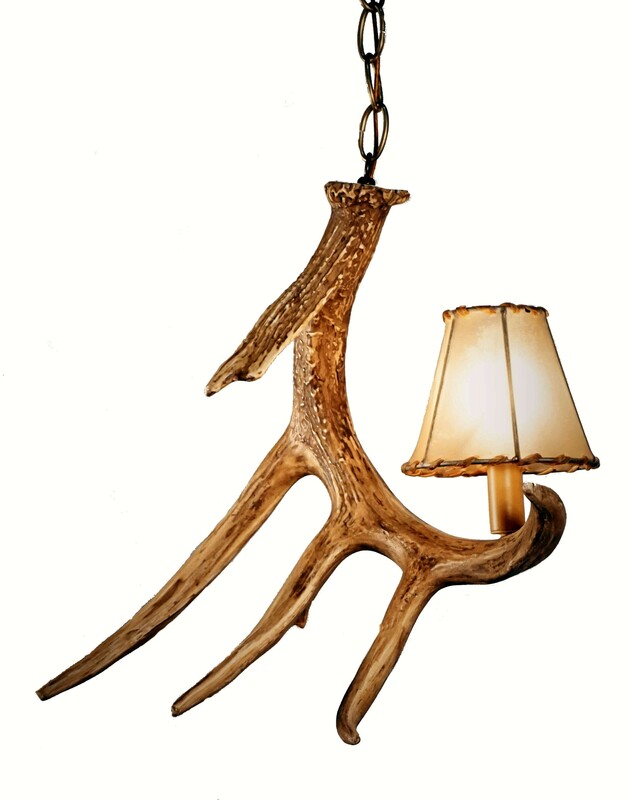 Made in the USA, this single antler pendant measures 16" wide and 16" tall, weighs just 5 lbs, has 1 candle light. All wiring is internal. Entire fixture UL listed/approved. 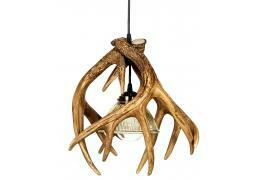 Antler is a professionally handcrafted reproduction. Made from medium-density polyethylene that is light weight but as durable as the real thing, each antler is individually hand-stained and rubbed to look 100% authentic. Requires one candle bulb. Comes standard with 3' of heavy duty chain, multiple colors available. Ceiling plate and mounting hardware included. Please Note: There is no warranty available for the Rawhide Shade. Rawhide shades can crack over time, especially if they are overheated. Use LED low wattage bulbs. 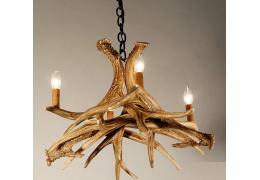 We suggest NOT to use 25 watt or higher bulbs with these shades.